This week we have received some fantastic news from our partners and friends at Tela Marine Research Centre in Honduras! In their first meeting of 2018, the Honduran Congress discussed the creation of ‘El Refugio de Vida Silvestre Marino de Tela’, and it was agreed that 822.6 km2 of Tela Bay will now be protected by law in a new national marine park. AMATELA is the newly formed NGO that will be responsible for enforcing the rules of the park and sculpting its management plan, and Tela Marine will oversee all marine operations alongside the research programme. 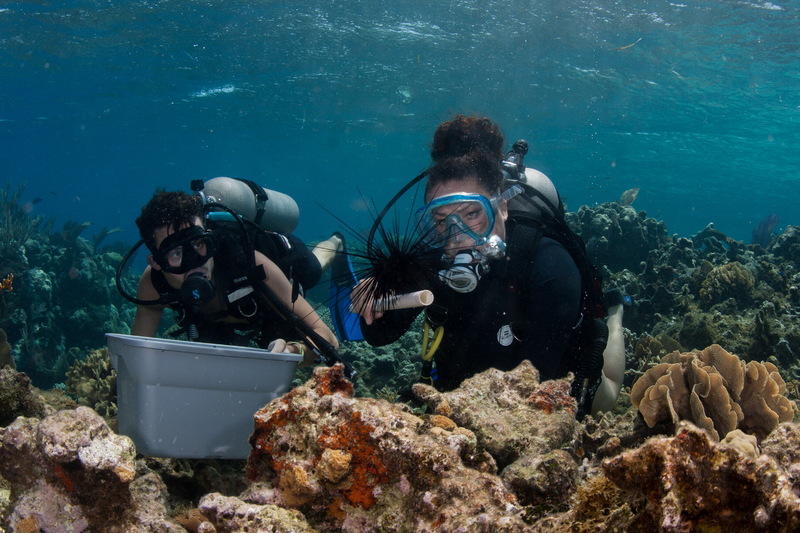 Since 2013, Opwall staff and volunteers have had the privilege of working alongside Antal Borcsok at Tela Marine, to conduct research on what may well be the most unique and healthiest coral reef found in the Caribbean today. With an unprecedented mean hard coral cover >70%, and more sea urchins than one echinoid obsessed PhD student could ever dream of, the Banco Capiro reef system could hold the key to future conservation initiatives, not only for the Mesoamerican Barrier Reef, but also for the wider Caribbean region. For many years, Antal has worked tirelessly to put Tela Bay on the map and to secure its future through the establishment of a protected area and this latest success really is a testament to his drive, passion and determination! Not only has Tela Marine been instrumental in the creation of this new marine park, but they have also been developing their outreach programme to educate local Hondurans about the wonders of the marine world. As part of this endeavour, Antal has built the first (and only!) marine aquarium in Honduras, which is open to all and free to visit – his intention is that even those that cannot afford to see the wonders of the ocean first hand will still have the opportunity to learn about the happenings of a coral reef. Antal has big plans for the future expansion of the marine aquarium, so watch this space! It has been a real pleasure to work with Antal and his team at Tela Marine over the last few years and we are really looking forward to continuing our partnership!